Here is the perfect statue for any football team. Great for flag, touch or tackle! Our Bronze Football Statue Trophy features golden accents and stitching and stands 6" tall. 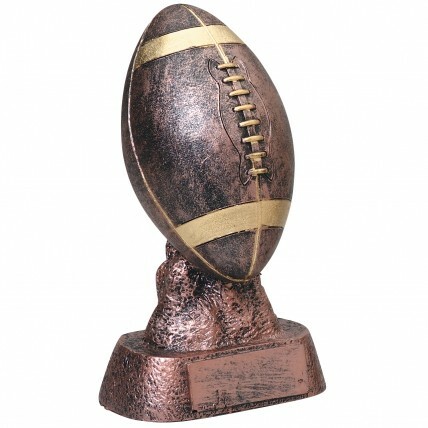 Personalize this award with your text on a glossy black brass plate included in the price!